A refugee rescue ship has been named after Alan Kurdi, the three-year-old Syrian boy whose body washed up on a Turkish beach at the height of the refugee crisis. Images of Alan’s lifeless body became a symbol of the desperate situation many fleeing conflict face. His name was given to a German rescue ship operated by the charity Sea-Eye. 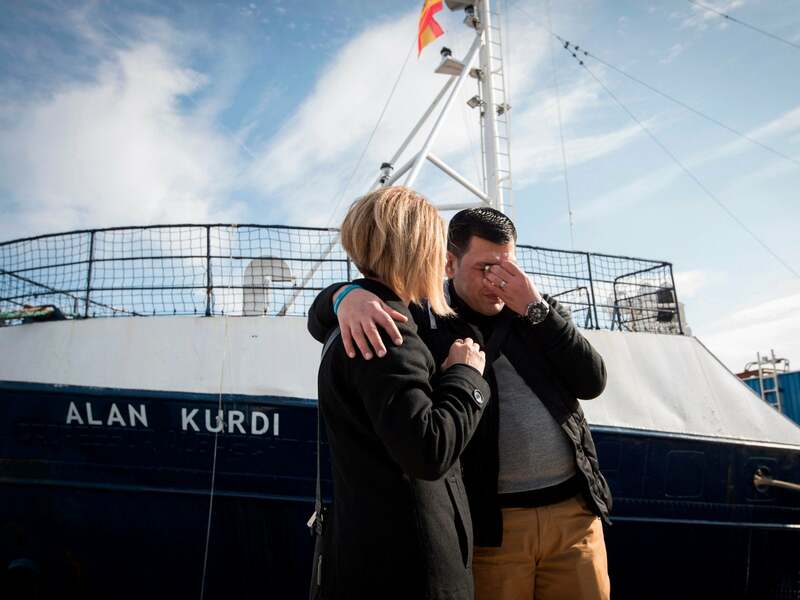 The ship was renamed in the presence of Alan’s father, Abdullah Kurdi, and his aunt, Tima Kurdi, in Palma on the Spanish island of Mallorca. “We are happy that a German rescue ship will carry the name of our boy,” Mr Kurdi said before the ceremony. “My boy on the beach must never be forgotten. Sea-Eye says it has saved more than 14,000 people from drowning in the Mediterranean since it began operations in 2016. Mr Kurdi and his wife Rehanna, along with their sons Alan and Ghalib, were trying to ultimately reach relatives in Vancouver, Canada, after fleeing Isis and the Syrian civil war in 2015. Their boat to Greece capsized as it left Turkey, killing 11 people including Mr Kurdi’s wife and two sons. Turkey sentenced two Syrian men to more than four years in prison in connection with the accident. Mr Kurdi, who now lives in Erbil, Iraq, also spoke at the naming ceremony. “This day is very difficult for me as I have many memories again,” he said. “But I want to support Sea-Eye. I am grateful that the club has chosen the name of my boy. Carlotta Weibl, a spokesperson for Sea-Eye, said in a statement: “The name ‘Alan Kurdi’ shall be a reminder of what our work is really about. It is not about ships, captains, NGOs and clashes with misguided politicians.